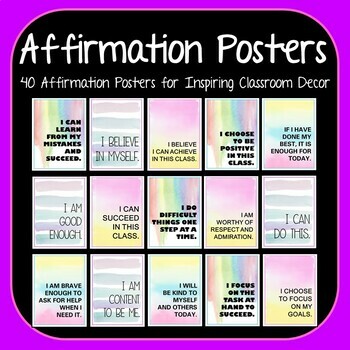 40 Motivational Affirmation Growth Mindset Posters for Classroom Displays. 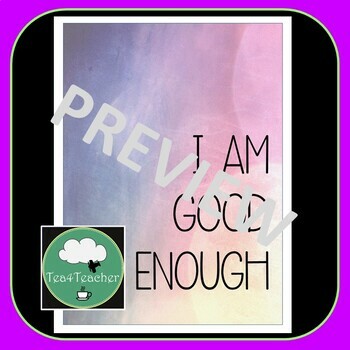 Easy Printable Décor ready to display in any secondary classroom. This set of motivational posters is designed in full colour with lovely watercolor backgrounds. Great, easy printable décor for any classroom. 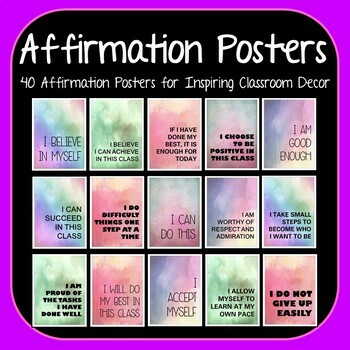 Perfect affirmations for students to encourage a growth mindset at any level – wise and encouraging thoughts to help them focus, keep trying and celebrating success in your class. X 40 simple and attractive designs in total. Print them all or choose your favorites. 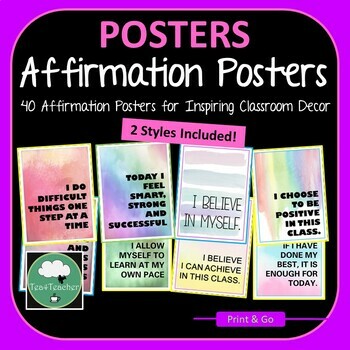 Super easy for bright classroom decoration – print as a frieze, posters or bulletin board display. x50 Printable Quotes for Classroom Decoration - Frieze of famous quotes in B&W. Mathematics Décor Set - Titles, Signs, Posters and more. Watercolour Classroom Décor Set - Titles, Signs, Posters and more.